Another couple of books for your perusal this week. I picked this up at a charity book stall recently in my town square. I'd not read any Vanessa Greene before but had a good feeling I knew what to expect with this book and I was right. 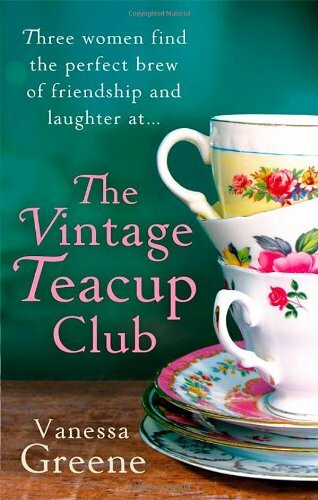 I'd describe The Vintage Teacup Club as fairly predictable chick lit. A group of women, brought together when they see a vintage tea set at a car boot sale, decide to share it and become friends off the back of this decision. We follow the lives of Maggie, Jenny and Alison who all have their various relationship, family and wedding planning struggles and whilst it's a fairly harmless read, I didn't find that any of the characters grew on me that much. That said, I didn't dislike the book and it's a perfectly fine way to while away an afternoon in the park. 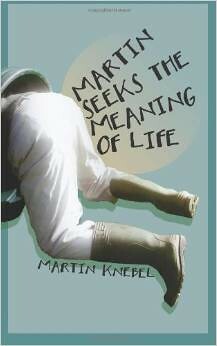 This book, an autobiography of poet, Martin Knebel, was completely the opposite. Having not read any of Martin's work, I knew next to nothing about him and had no clue what tp expect. He sent me the book with a lovely little note which I'll treasure and I wasted no time in making a start. I have to say I was quickly engrossed in Martin's memories, from the earliest snippets of him growing up, to his family life later on. I think the fact that I've heard a lot of stories from my grandparents' early years in Yorkshire made these reminiscences all the more poignant for me. Martin's writing style is funny and engaging and I don't think it matters that he was a relatively unknown figure to me before starting the book. I'm not usually a fan of autobiographies of "celebs" so it's a genre I usually avoid, which made it even nicer to get stuck in to something a little different. Spoiler alert: Martin might not actually find the meaning of life during this book, but that doesn't make it any less enjoyable to read. I'f thoroughly recommend this book. If you'd like something new to read, I've just announced another #bloggerbookswap - sign up by 25th August to join in! Martin Seeks the Meaning of Life sounds interesting. This week I've finished off Frostbite, the second Vampire Academy book, and started Burial Rites by Hannah Kent which I'm loving, such an immersive book. It's such a sweet-natured book. I'm really glad I read it.